We offer a wide range of hotels near Memphis Grizzlies from cheap accommodation to up market luxury hotels. Search our database of hotels to find the lowest rate for your stay closest to FedExForum. Located adjacent to AutoZone Park in Memphis, Fielder Square by Stay Alfred offers a seasonal outdoor pool, fitness centre, and free WiFi. The property is also just 8 minutes' walk from Beale Street. Beale Street restaurant and nightlife district is 3 minutes' walk from this Downtown Memphis DoubleTree by Hilton. Hotel features include an outdoor pool, on-site restaurant, and rooms with free WiFi. 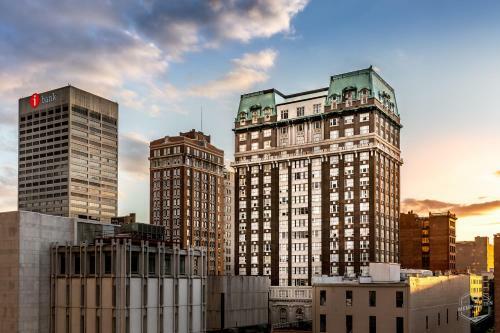 Featuring free WiFi and a restaurant, Hotel Napoleon offers accommodation in Memphis. Guests can enjoy the on-site bar. Every room is fitted with a flat-screen TV. The rooms have a private bathroom. You will find a business centre at the property. Each of these Memphis apartments are fully furnished and include a full kitchen. Free WiFi is provided. The restaurants and nightlife of the Beale Street Historic District is 8 minutes’ walk away. 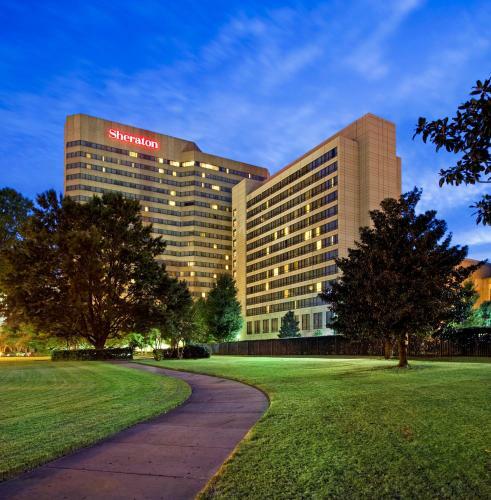 Connected to the Memphis Convention Center by indoor skybridge walkway, this hotel is located in Memphis, Tennessee and offers an indoor pool, on-site restaurant and free WiFi.